Treat yourself or someone special to one of these beautiful personalised dainty links heart bracelets, from the Lisa Angel Jewellery Collection. 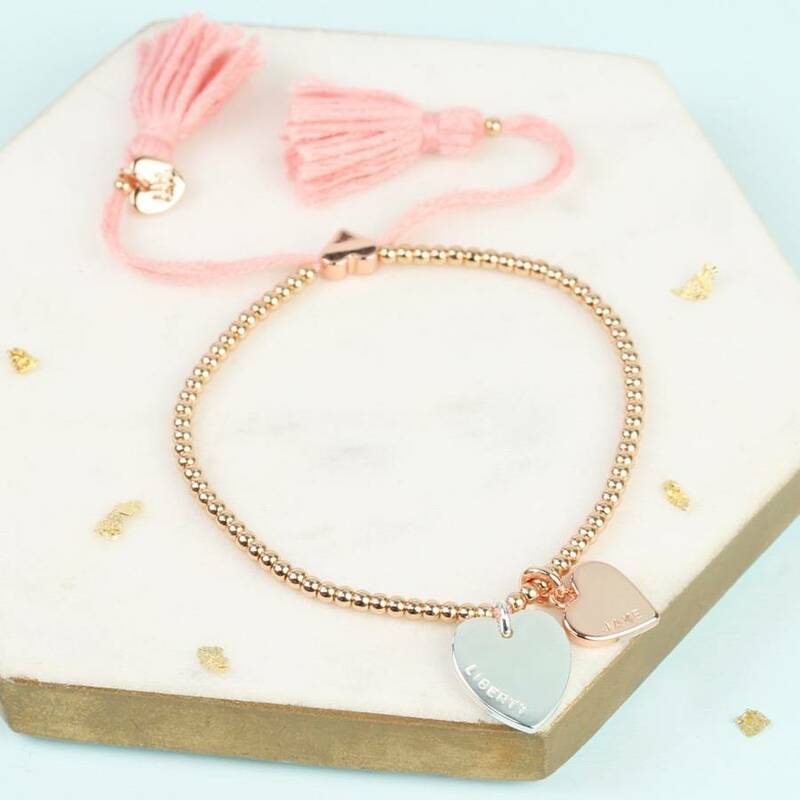 Designed in the UK by Lisa Angel, this delicate and high quality friendship bracelet is made from the finest soft cotton thread, with silver, 18k gold and 18k rose gold plated beads. The heart shaped toggle bead at the back of the bracelet is a lovely detail that makes it easily adjustable to fit most wrist sizes. The toggle is tried and tested not to loosen, so your bracelet will stay a snug and comfortable fit on your wrist. Finished off with luxurious tassels that are guaranteed to stay looking in good shape. 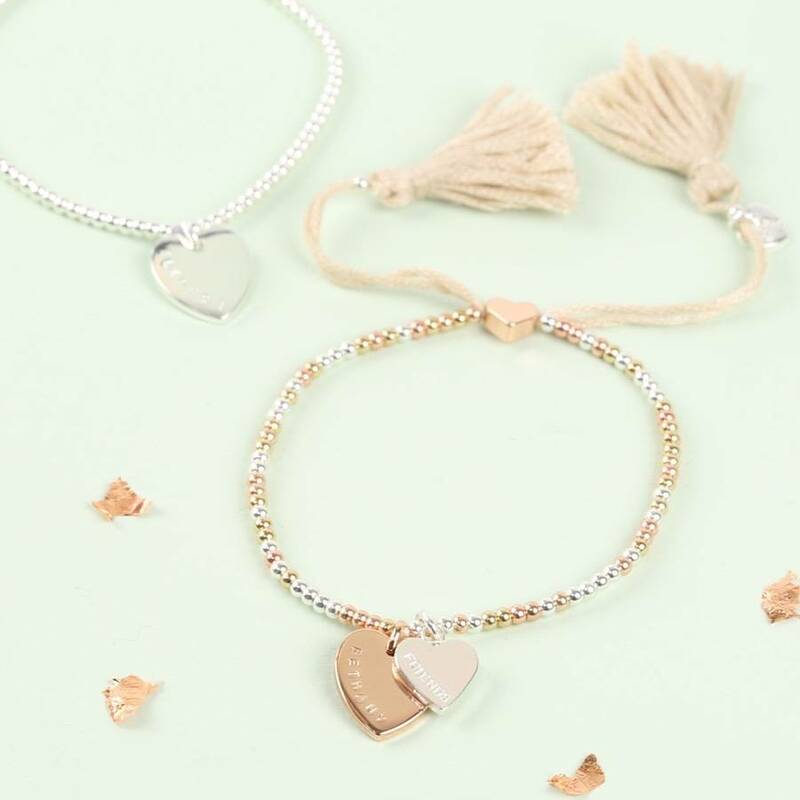 For the extra special touch your heart charm duo will be hand-stamped by our skilled jewellery team here in Norwich with the personalisations of your choice, making this fabulous bracelet the perfect sentimental gift for a jewellery loving friend. Stack with other delicate pieces on your wrist, or wear alone as a sweet and simple statement. Fasten with the pull function feature, with tassels on either end. 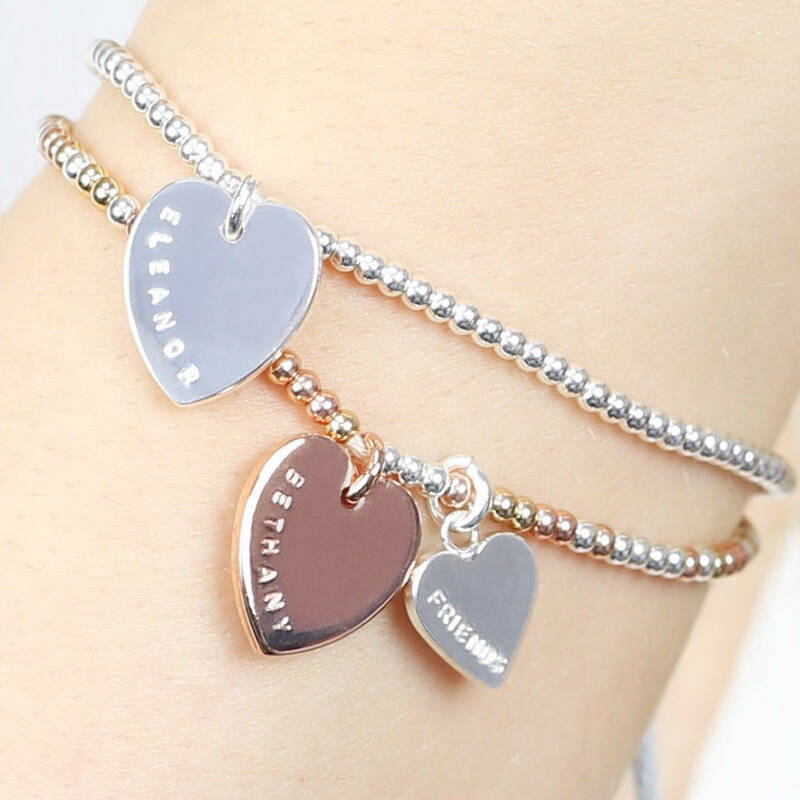 Popular choices for this bracelet, are friends names, special dates, mother and daughter names, grandmother and grandchild names, sisters names, husband and wife names and of course pet names. With beads plated in 18k gold, 18k rose gold, and pure silver, these bracelets are as precious as they are gorgeous! Choose either one small, one large, or a small and large, heart charm. The heart charms come in a choice of silver, gold or rose gold. 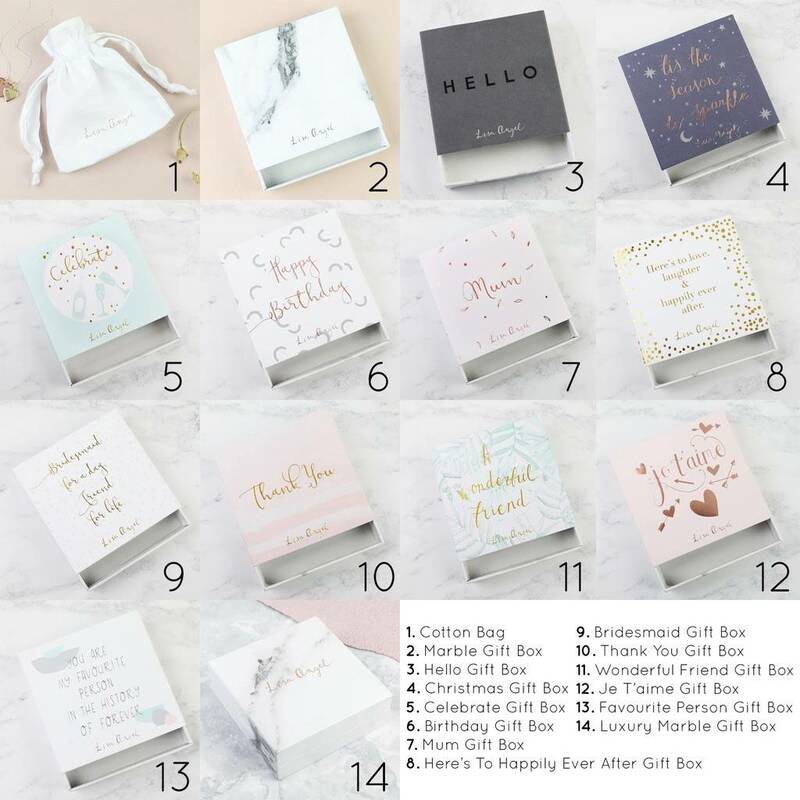 These will then be expertly hand-stamped by our jewellery team with your own personalisation. To give an extra unique touch, add the different colour charms together, the mix metal effect works really well with this bracelet. Small Heart - up to 7 characters including spaces. Large Heart - up to 10 characters including spaces.